Country Rose skin care products use all natural ingredients to cleanse, exfoliate, tone and moisturize your face and body. Country Rose skin care products are designed to care for the entire body. Our back to basics approach uses only premium natural ingredients and is focussed on creating products that work without compromising our principles and ideals. All natural, no chemicals, no animal testing and environmentally safe. 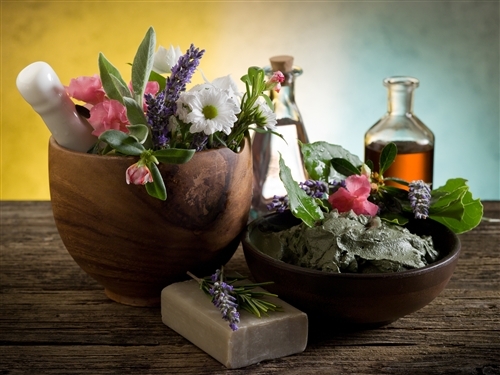 Country Rose lotions and creams use all natural ingredients to nourish and moisturize your whole body. Country Rose skin care products are designed to care for the entire body. Our back to basics approach uses only premium natural ingredients and is focused on creating products that work -- not products that are designed to entice consumers into spending more money than is actually needed. Our Chamomile, Lavender & Rose Moisturizing cream and Gardener's hand cream are two premium beeswax creams. Convenient and easy to use, these creams are highly moisturizing, providing one of the simplest and most effective ways to take advantage of the skin care properties of natural oils and butters, as well as the healing properties of natural herbs. Apply our lotions or creams liberally to the skin, and allow the all natural ingredients to do their magic. All of our lotions and creams are made using all natural ingredients, no synthetics, no petroleum products, just the best that nature has to offer. All the herbs are solar infused in olive oil for a minimum of 4 weeks to get the full benefit of the plant. Pure beeswax is at the heart of our moisturizing creams. The benefits of beeswax in skin care products are impressive. Besides being a natural preservative, beeswax acts as an emollient, forming a protective barrier on the surface of the skin. This barrier acts as a protective film -- protecting against irritants while still allowing the skin to breathe. It's no wonder our moisturizing creams are so moisturizing, soothing and protective. Containing Vitamin A, beeswax has also been shown to be beneficial in softening and re-hydrating dry skin while aiding in cell reconstruction. The beeswax base of our moisturizing creams ensures our creams are non-irritating. The beeswax imparts mild antibacterial and anti-inflammatory benefits, and it will not clog pores. It's no wonder our Chamomile, Lavender & Rose Moisturizing cream is a best seller. Country Rose moisturizing creams and lotions provide an effective and natural way to care for your skin -- moisturizing, helping to diminish fine lines and wrinkles, all the while allowing your skin to be breathe and be at its healthy best. A concentrated premium natural blend of moisturizing oils, emollients, herbs and essential oils which will moisturize and soften your face, body and hands. A highly effective and soothing hand cream designed to help soothe dry skin conditions, cuts, scrapes, burns, cracks, psoriasis, eczema and other skin disorders. A highly effective and soothing skin cream designed to help soothe dry skin conditions, cuts, scrapes, burns, cracks, psoriasis, eczema and other skin disorders. Rose Water Toner can be misted onto the skin after cleansing to leave the skin feeling clean and refreshed, enhancing the appearance of your skin.